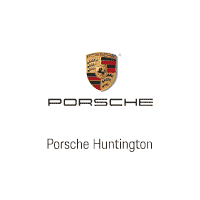 Thank you for making your way to Porsche Huntington, your certified Porsche dealer serving drivers throughout Huntington Station and the surrounding areas. At our dealership, you’ll find a solid selection of new Porsche for sale, as well as a carefully inspected lineup of pre-owned vehicles. We also have a well-connected finance center run by a qualified team of finance experts, who can help you get the right loan or lease in a quick, easy, and transparent manner. Our commitment to our customers continues well beyond the date of purchase. We also have a professional team of Porsche technicians on hand with the skills and equipment to handle all manner of maintenance and repairs, as well as a full stock of authentic parts. Make your way to Porsche Huntington in Huntington Station today for quality vehicles, a friendly team, and professional service at every step of the way. And if you have any questions for us, you can always get in touch at (631) 546-7961. I did business with Chris and Cary, and can't be happier. Cary worked hard to get ma a vehicle, and made sure to get it so I could build it to my specs. Throughout the process Cary kept me updated and was very responsive. Chris made sure to make the financing as easy as possible, and got my vehicle quickly into a shop for a ceramic coating so I could take delivery ASAP. Very smooth process once I got the dealer, and had my vehicle on the road without a hitch. Will definitely be back to this dealer and enjoyed the experience! !